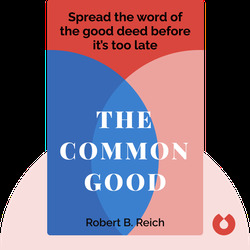 The Common Good (2018) is a call for Americans to try and work toward the collective good once again, rather than continue along the path of “whatever-it-takes-to-win,” which has been the overriding mentality for the last few decades. 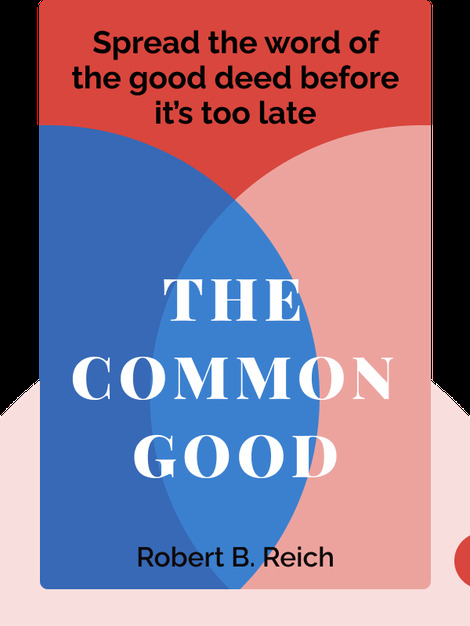 The author outlines the importance of the common good and how we should go about restoring it. Robert Reich teaches public policy at the University of California, Berkeley. He’s written over a dozen books, including the best seller Saving Capitalism. During Bill Clinton’s presidency, he served as Secretary of Labor.